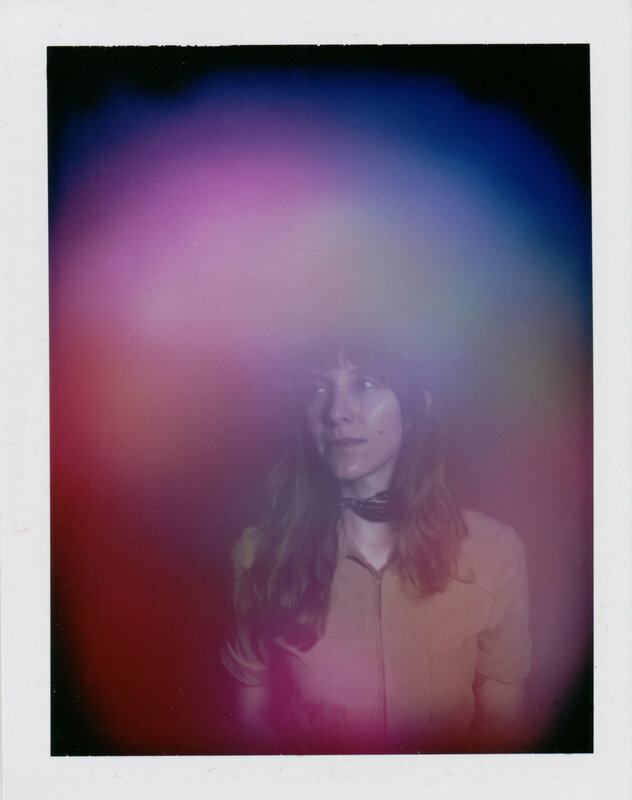 AURA AURA is an experiential portrait practice of Detroit-based creative, Eileen Lee. Her fascination with energy and auric fields began over 15 years ago when she was told that her aura was green by her partner Christopher Taylor - which it actually is, more often than not - confirmed through photographic documentation. This fascination progressed when she stumbled upon this original 1945 printing of Edgar Cayce's AURAS: An Essay on The Meaning of Colors, while living in Venice, California. After nearly a decade out West, Eileen returned home to Michigan in 2016, seeking to bring an awareness of energy + universal consciousness and oneness to the Midwest, and beyond. 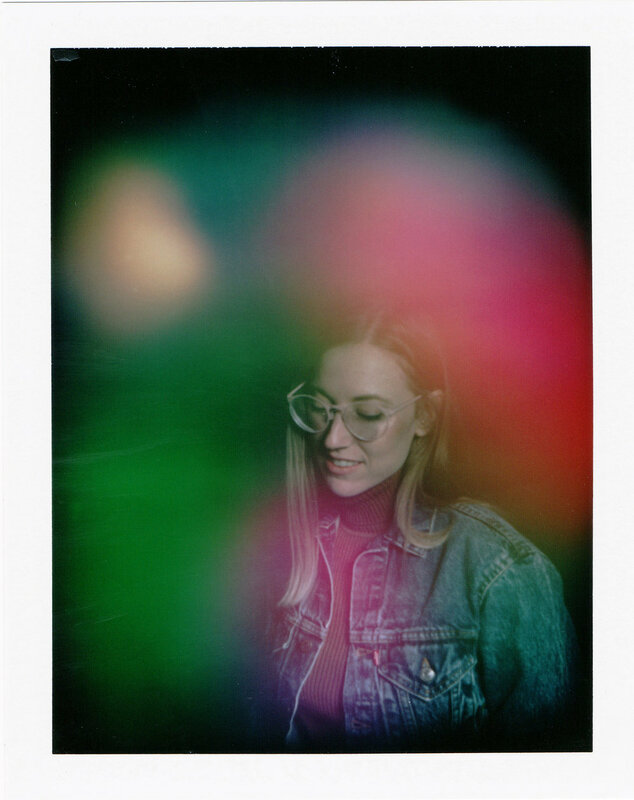 This practice serves as a vessel for exploring the #humanatmosphere by utilizing analog technology and instant film that is no longer being produced. Through a double exposure process of capturing your bio-magnetic, vibrational energy, we make the metaphysical visible, resulting in awe-inspiring, one-of-a-kind portraits. Our portraits inspire subjects to open themselves up to the ethereal energy of the universe, fostering an awareness of all the subtle nuances and forces that influence our lives, in the form of inter-dimensional frequencies. 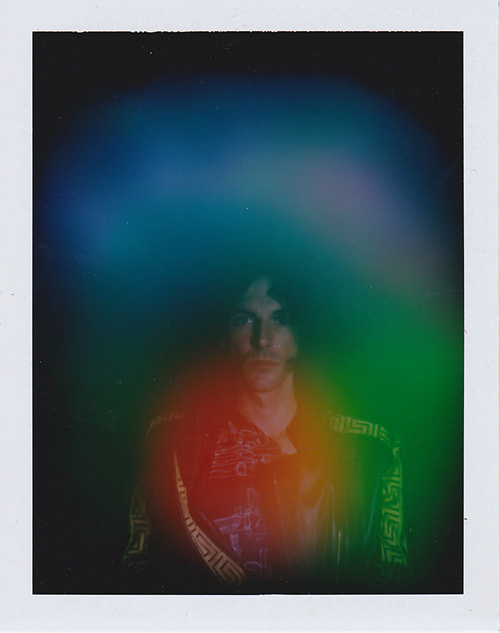 Our aura colors can (and do) change with our life stories, emotions and situations. This personalized, exchanged-based experience looks to capture and document these moments, empowering participants to understand their auric states, and achieve higher awareness as universal beings - all while expanding the collective consciousness. Appointment availability is released weekly - typically seven days out. This means our calendars for both Detroit and Seattle will only show up to 7 days out maximum at a time. For example, if today is January 1st our calendar will only show up to January 7th. This is why nothing further is appearing in our calendar. If a date is greyed out this means we are not available that day. It is highly recommended that you book an appointment here through our website. Seattle sessions are by appointment only, Thursdays and Fridays in Detroit are by appointment only - this applies to when we are home in Detroit and available. Booking an appointment secures your time slot, which allows for one aura portrait during your session. If you’d like to have more than one portrait taken, simply purchase the corresponding number of sessions back to back (i.e. two portraits will require the booking of two sessions). Walk-ins are welcome on Saturdays and Sundays at Grey Area in Detroit, however walk-in availability is not guaranteed since our schedule tends to fluctuate with travel, which means we are not always in Detroit. When we are home our schedule tends to fill up quickly. For this reason, we highly recommend you book an appointment in advance, or you may need to wait up to several hours for an available walk-in time. All session purchases are final. We unfortunately cannot accommodate reschedules, cancellations, refunds, or no shows. If for any reason you're unable to make it to your time slot, you're more than welcome to send a friend in your place. Please be sure to arrive 5 minutes before scheduled your time slot. For those interested in friends or couples portraits - we are able to accommodate up to 2 people per photo. This means 1 session = 1 photo. If you are coming with a group of more than 3 individuals, you must make appointments. Currently we are unable to accommodate large groups as walk-ins - this is Detroit specific only as we do not take walk-ins during pop-ups. To book out a block of time for your group, you will book individual sessions back-to-back and let us know in the notes section when booking how many people are in your group. For example, if you have 5 people in your group, you will need to book 5 sessions individually. At this time, we unfortunately do not take portraits of animals or pets. The portrait we create captures your energy in the exact moment the photograph is taken. We recommend coming in when you are well rested, and feeling like your normal self. If you are exhausted, not feeling well, or under the influence of consciousness altering substances, your energy will reflect the state you are in, and this can show up in the photograph. When you are lower energy ( i.e. overworked, exhausted ) it's very likely that your aura colors will not be as bright or as saturated, and the photograph will look dark which is just the black background. Please see this example. Make sure you allow your portrait to dry flat in the box provided for 30-60 minutes. If anything touches the wet surface of the instant film once we peel apart the instant film, including fingers or the inside of the box top, it can stick to the photograph and ruin it. We are not accountable for anything that happens to your portrait once it’s in your hands. Since our specialized camera requires us to shoot with out-of-production instant film (100 series packfilm to be exact), we are unable to provide re-do's or additional copies of your portrait. Each portrait we make is one-of-a-kind, and each shot we take literally counts! We recommend scanning your photograph after you've allowed it to fully dry, so that you have a digital copy in addition to the physical copy. We are happy to accommodate well-behaved children ages 5+. This is to ensure the safety of the child, as well as our camera equipment, which is incredibly fragile. Each child needs to be physically big enough to safely hold 2 large hand sensors on their lap (7" x 6" each) and then remain still for between 5-10 seconds for their portrait. The hands of children under 5 unfortunately are too small for the adult-sized hand plates, which is the reason for this age limit. 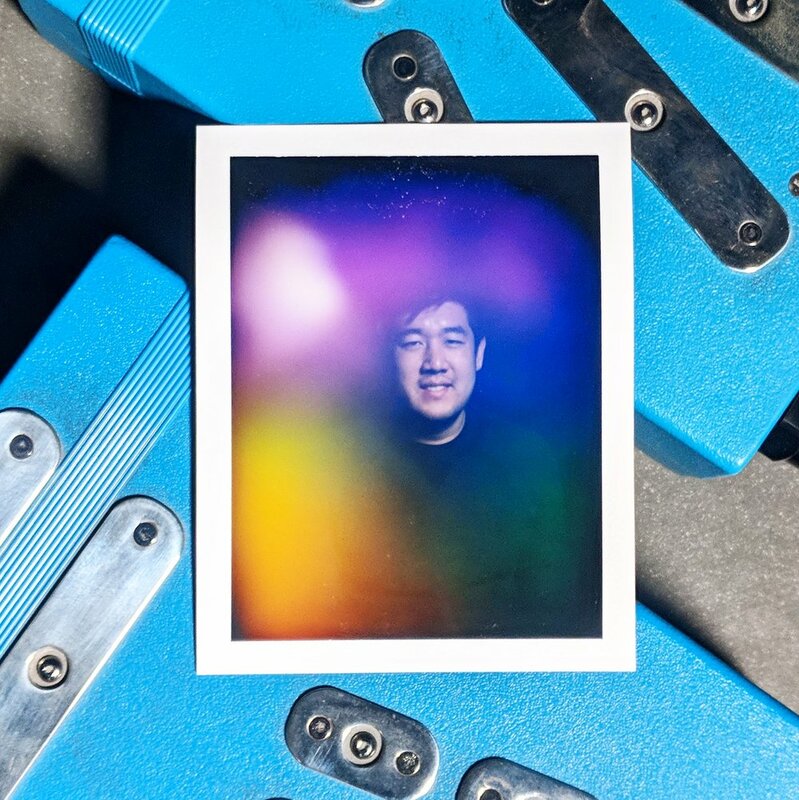 An informational card is provided during your portrait session to give insight into the general meaning of your aura colors, but we recommend you also take a look at our more extensive color guide. Interested in exploring how your auric state changes over time? Learn more about the Monthly Aura Program or Seasonal Aura Program, part of the collaborative Twelve Month Aura Project. Please note that @twelvemonthaura is led by our friend Stephanie Gunther, who lives in Brooklyn/NYC and is not managed directly by AURA AURA. *Studio hours by appointment only. Have questions or looking to connect with us for an event you’re planning? Click below to get in touch regarding our services. If you have questions regarding Detroit or Seattle availability and making appointments, please read through our "SESSIONS" section before submitting an inquiry. All sessions are booked by you, directly through this website. Our availability is released weekly, only up to 7 days out at a time. Please note that we do not participate in outdoor events or markets. Please note that each portrait requires 5 - 10 minutes per guest. Is there a specific location within your site that you would like us to setup our dome? Please note it requires a 10' x 10'x 10' space. Please note that we do not participate in outdoor events. Each event experience is priced based on the details, so please provide as much information as possible. Also, is there a specific location within the event site that you would like us to setup our dome? Please note it requires a 10' x 10'x 10' space. This information will be a factor in helping us determine if your event will be the right fit for us.